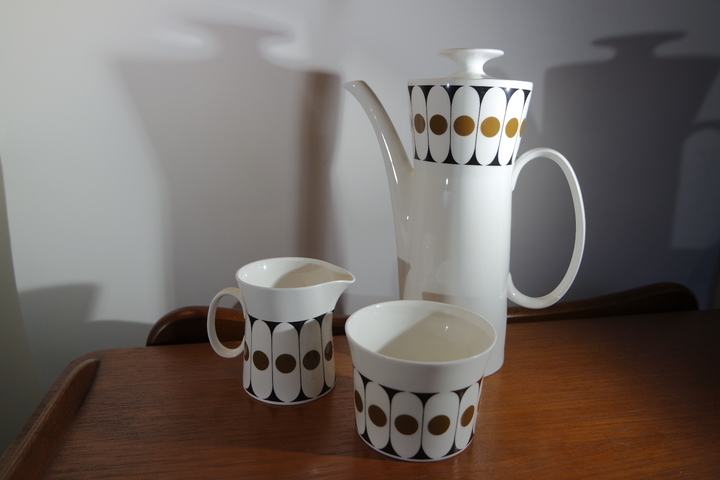 John Russell's designs for Staffordshire company, Hostess Tableware in the early 1970s are stunning. 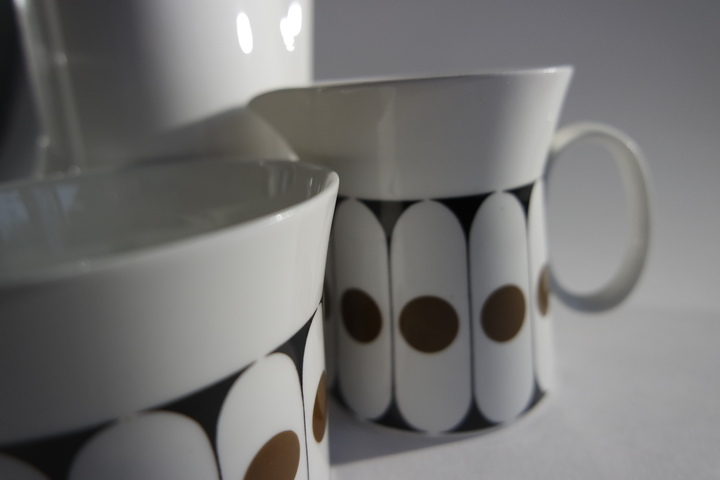 According to www.c20ceramics.net, this is British design at its best. 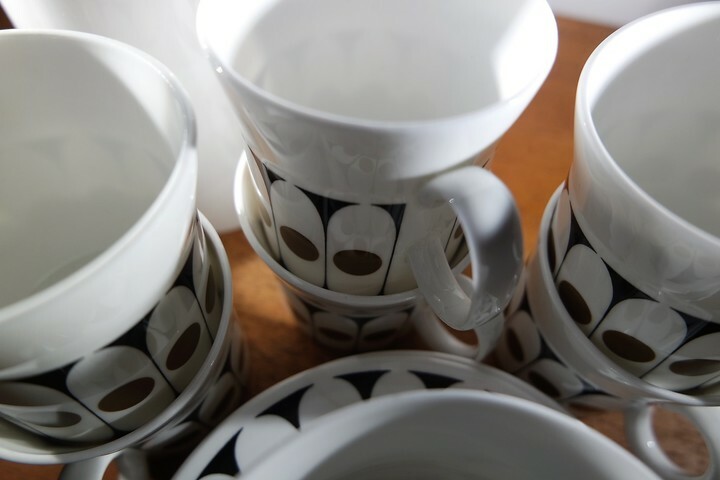 John Russell is primarily known for his designs at Midwinter Pottery, where he created Midwinter “Riverside”and numerous other Midwinter designs in the 1960s. 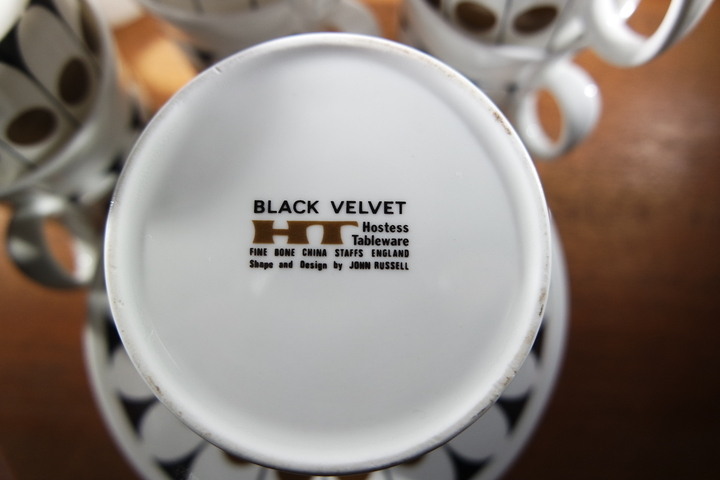 His designs for Hostess Tableware, including Black Velvet are 'far much more impressive, bold, clean and resolved'. 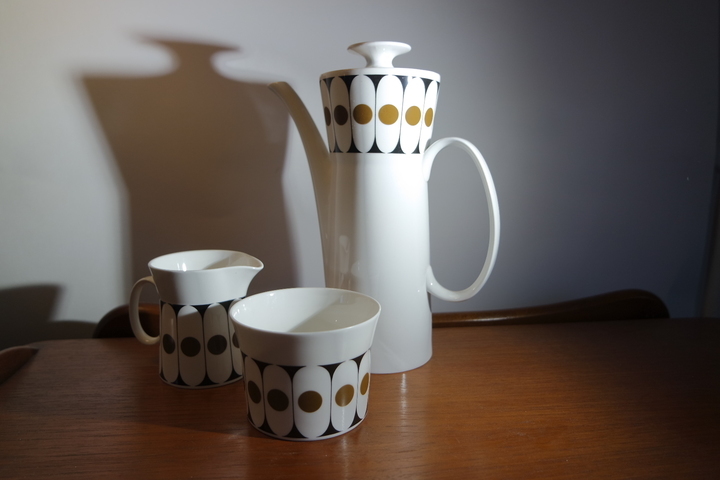 Hostess Tableware was formed by the merger of Royal Stafford China and British Anchor Pottery around 1970. This set is in immaculate condition.